« Disneyland’s Tower of Terror to become Guardians of the Galaxy – Mission: BREAKOUT! The Muppets in the Magic Kingdom! After initially wondering whether having the Muppets introduced into the normally serene atmosphere of Liberty Square was a good idea, I decided that it is actually a great idea! I think a new and original show could introduce a lively element into the atmosphere. I’m thinking something akin to the way Merlin appearing at the Sword in the Stone in Fantasyland used to liven up the atmosphere there a few times each day. (You do remember when that used to happen, don’t you?) Provided that the script and/or music is solid and well done (i.e., not a flimsy fluff piece), I believe there is great potential with this move. I’m curious as to exactly how they’re going to pull this off. Muppets in the upper windows, perhaps? 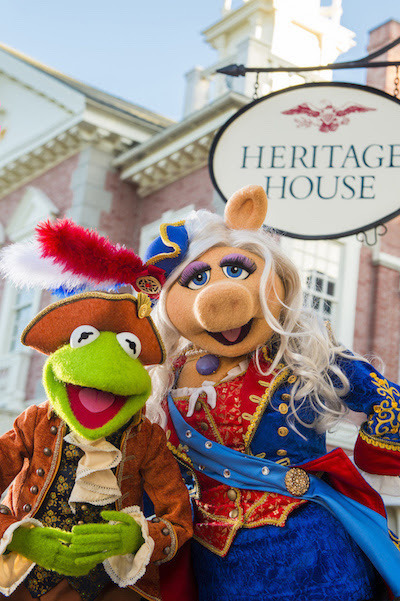 Are you ready to see the Muppets in the Magic Kingdom? Start planning your next Walt Disney World Vacation today with MousePlanning! This entry was posted on July 30, 2016 at 9:34 am and is filed under Disney News, Magic Kingdom, Walt Disney World. You can follow any responses to this entry through the RSS 2.0 feed. You can leave a response or trackback from your own site.